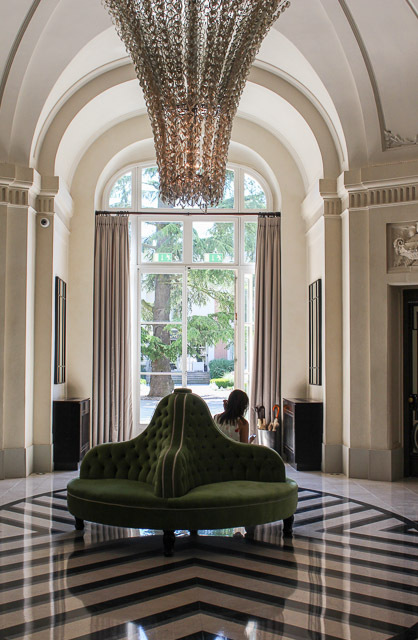 When I began looking into staying in the town of Versailles for my 30th birthday celebration and I happened to stumble upon a Waldorf Astoria hotel located on the edge of the palace grounds, I was sold. 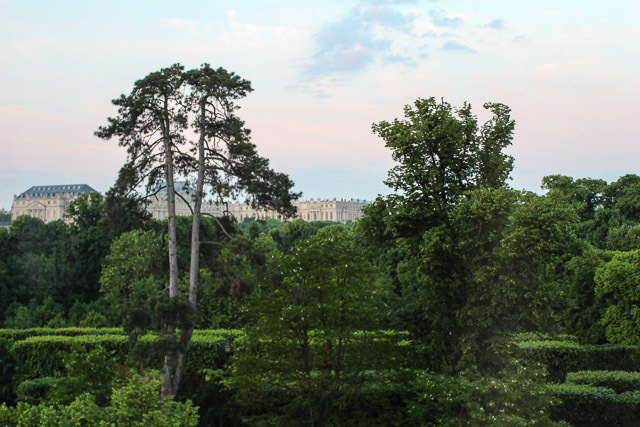 The setting was perfect, right on the edge of town quite literally touching the palace gardens and set amongst the trees had us feeling like we could be staying in the French countryside yet still a short stroll into the heart of the town. 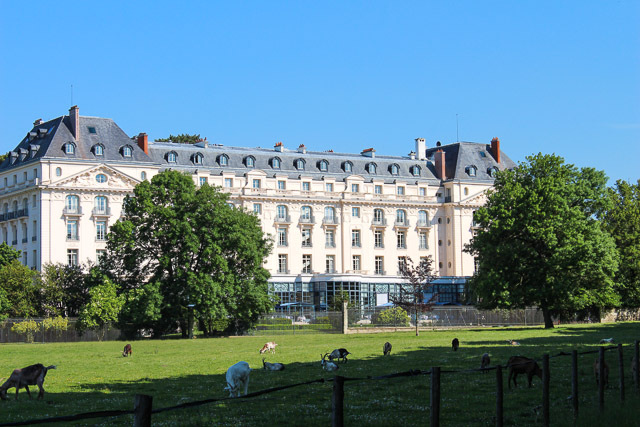 The hotel itself boasts quite an interesting story - built in the early 1900's, it was later used as a hospital in WWI but more notably, on May 7, 1919 the Treaty of Versailles was dictated in the reception salon before being signed several days later in the Hall of Mirrors at Chateau Versailles. 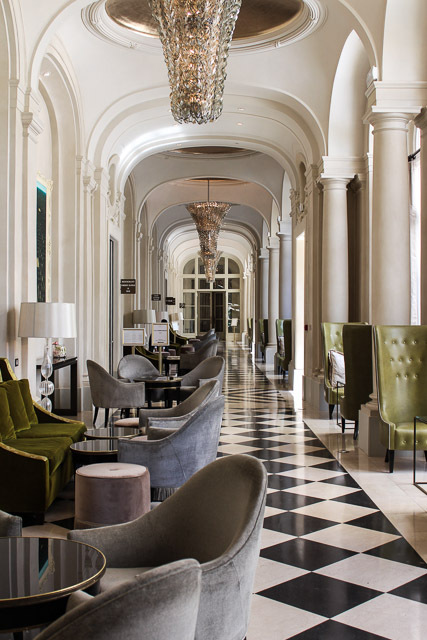 The Trianon Palace has welcomed Queen Elizabeth II as well as many other well known guests and currently houses a Gordon Ramsay restaurant possessing two Michelin stars. The entire property was luxurious and every element from the marble floors to the silver spout in the bathtub was polished to perfection. Our room was huge by Parisian standards. 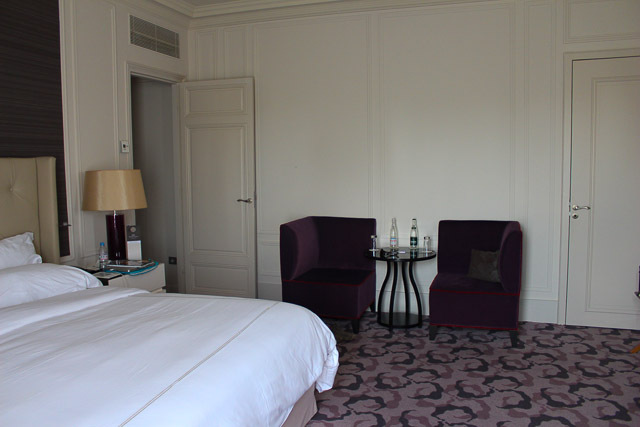 Located on the 4th floor in a corner suite with views of Chateau Versailles from both the bedroom and the bathroom, we slumbered in style. 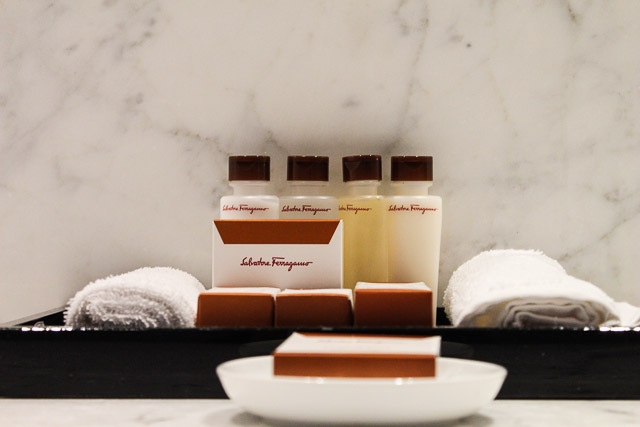 I'm certain there are some apartments in Paris smaller than the bathroom with it's elaborately tiled floor, double vanity, soaking bathtub, separate shower and WC and as if that wasn't enough, heated floors, plush towels and Salvatore Ferragamo toiletries. There are certainly some perks to staying at a luxurious property. The service is unbeatable - nothing is off the table and you're made to feel that no request would be turned down. 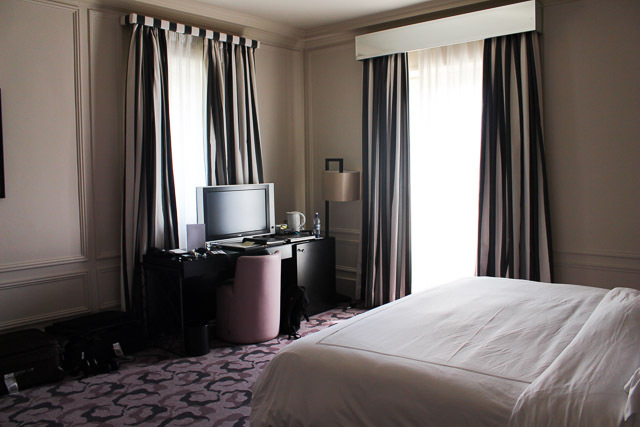 The concierge is reputable and knowledgeable and will gladly take care of anything you ask promptly and professionally. The in house food and drink are top notch and you're surrounded by the finest amenities one could ask for in accommodation. 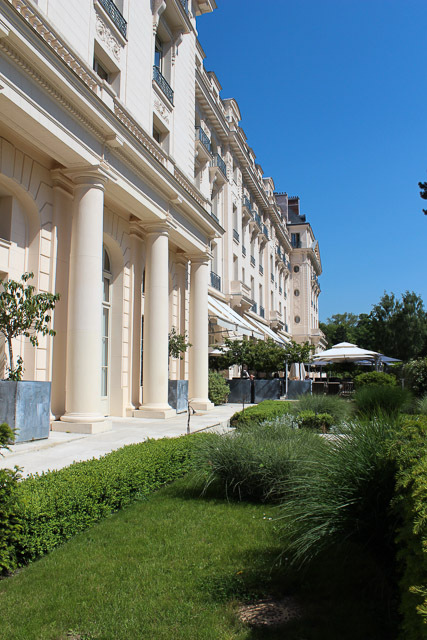 Regardless of that, this was a no holds barred celebratory trip and despite having stayed in a few fairly nice hotels, the Waldorf Astoria Trianon Palace was definitely the most luxe. It was worth every cent and completely worthy of a 30th birthday fête. Wow! You have me sold! What a lush place to stay for any occasion, but so perfect for your 30th. I would love to go their for my 31st, especially as I've not been to the Palace of Versailles yet. Love the photos! absolutely a great experience, not only for the wonderful hotel but also for live a few days in versailles! Wow! What a beautiful hotel! And how cool is that to stay at a place that is really a piece of WWI History! Happy (Late) Birthday! That hotel looks amazing! 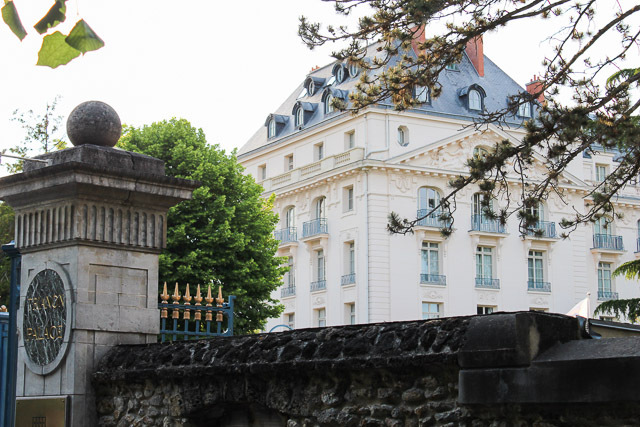 So modern & chic on the inside and classically French on the outside! The hotel was stunning and aside from the ridiculous internet charges, I couldn't fault it for anything! It was the best way to celebrate a 30th birthday! WOW what a GORGEOUS place! Perfect 30th Birthday present!!!!! !